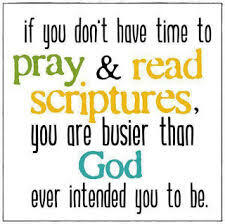 Sometimes people say that they don't seem to have very much time to pray. Wisdom has shown that time in prayer can actually create more time for other things if God's prompting after that time in prayer are followed. In other words, you won't be wasting time going in the wrong direction if you pray about what to do first. 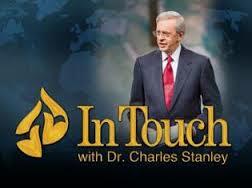 The following notes given by Dr. Charles Stanley in a sermon address this issue. So Judah gathered together to seek help from the LORD; they even came from all the cities of Judah to seek the LORD (2 Chronicles 20:3). 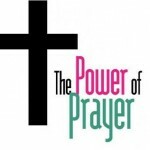 Jehoshaphat's Prayer - Read 2 Chronicles 20:1-34 to read the prayer and God's answer to it. 2). Prayer prevents us from making wrong decision. 3). Prayer eliminates worry and anxiety. Do not be anxious about anything, but in every situation, by prayer and petition, with thanksgiving, present your requests to God. And the peace of God, which transcends all understanding, will guard your hearts and your minds in Christ Jesus (Philippians 4:6-7). 4). Prayer produces a sense of calmness and peacefulness. 5). Prayer invites God into our activity. Trust in the LORD with all your heart and do not lean on your own understanding. In all your ways acknowledge Him, and He will make your paths straight (Proverbs 3:5-6). 6). Prayer gives us confidence. 8). Prayer sharpens our discernment. 9). Prayer gives us God's viewpoint. 11). Prayer prevents us from getting distracted. 12). Prayer reminds us of the necessity to act. 14). Prayer opens doors of opportunity. Devote yourselves to prayer, keeping alert in it with an attitude of thanksgiving; praying at the same time for us as well, that God will open up to us a door for the word, so that we may speak forth the mystery of Christ, for which I have also been imprisoned; (Colossians 4:2-3). 15). Prayer enables us to discern between busyness and fruitfulness.